Andrew: What’s happening, Charlotte? Andrew Bowen here, your host of CBR’s B2U Podcast, bringing business resources directly to you. We cover a lot of topics on the show to help entrepreneurs looking to start or grow their business, but what if you want to start a business, and you’re not quite ready to start from scratch. Well, today is all about you. There is this thing out there called franchising. What is it, what does it take, and why do people do it? With us we have, Chris Metzler from The Entrepreneur’s Source. Chris is also a business coach with CPCC’s Small Business Center, and some of you might remember the featured blog we had on Chris a couple of years ago. But Chris, I will let you take it a little bit from here because I don’t know you as well as you do. So, can you tell us a little bit about yourself and how you got to where you are? Chris: Absolutely. I am actually a Native Charlottean. Andrew: Was it called California Pizza Restaurant? Chris: It was called Wolfman Pizza. Andrew: Wolfman Pizza. All right. Chris: And yeah, we had a lot of naysayers when we told folks what we were going to be doing. But we opened up, and Helen Schwab from The Charlotte Observer came out, unbeknownst to us, and gave us three and a half out of four stars. Chris: Way out there. And we actually had our second location signed, a lease signed, within a year which was right next to Selwyn Pub. On Selwyn. And then we went to Cotswold and then a couple of other places. But that’s where I got started in entrepreneurship and my own business. And we actually fashioned and worked with… we worked with Wolfman Pizza and tried to get…to become a franchise, and there’s lot of federal red tape and flaming hoops you have to jump through to do that. Andrew: Yeah. Sounds like we’re going to get into a little bit of that, but it sounds like you come from a great place in terms of expansion and franchising, at least from the lens of the person who was doing it. So, can you talk a little bit more about franchising, what it is? Andrew: And I think we’ll get down to the red tape eventually, but however it works. Andrew: Spill it on us, Chris. Andrew: Here it goes. After Wolfman Pizza…and let me just back up…after Wolfman Pizza, I was able to backpack for about three and a half years. I got burned out at Wolfman Pizza. Restaurant business is very difficult. Chris: Very tough. When I returned from my travels, I actually had a general contracting business for 16 years. And again, I just got…after 16 years, I got burned out, laid that to rest, and I was a stay at home dad for a year and a half…my first son was born. And then I got the itch and I met a lady, Lauren Cantor, she’s with The Entrepreneur’s Source. What we do at The Entrepreneur’s Source is specialize in franchising. The Entrepreneur’s Source has been in the business for 33 years. We’ve placed over 10,000 people in a franchise business, and that is our main focus. We work with about 300 different franchises, and I’m a business matchmaker. Chris: So, when I take my clients through an in-depth Q&A, I use a DISC personality profile, but I help match them up with a franchise business that best fits their specific criteria. And what I like about franchising is it’s an opportunity for you to be in business for yourself, but not by yourself. You are in a proven business model. So, a lot of my clients that are in their 40s, 50s, 60s, most of them are corporate, and they either just got laid off, or they are burned out with corporate, or they just retire, but they’re not ready to retire. And so, a franchise is an opportunity for them to do their own thing, but have the backing and the support that a franchiser brings to the table. Andrew: That’s great. So, you said 300 franchises. Chris: Give or take. Right. Andrew: There’s not 300 fast food franchises I imagine. Chris: You know what, there might be. Chris: That being said, there are 4,500 different types of franchises. There’s a new franchisee signing every eight seconds. Chris: But food, actually, only represents about 10% to 15% of the franchise industry as a whole, and our portfolio, if you will, reflects that. So, food is actually about 10% to 12% of what we have at any given time. When I tell folks I work with franchises they say, “Oh, well, I don’t want to own a Subway.” Or…Pick one any one, any of the foods. I say, “Well, the reality is McDonald’s and Subway, they don’t need us.” They’ve got their own departments, but that’s only a small, small fraction of what’s out there. Andrew: So, what are, kind of, a couple of examples of industries that are possible given the franchising other than everyone thinks of fast food? Chris: Everybody thinks of fast food. In reality, we have, at any given time, we represent about 75 different industries. Think about anything for your home, whether it’s cleaning or handyman services. Andrew: So, even just services then? Not just groceries? Chris: Even services. Absolutely. There’s business services. Even, we don’t work with them, but like insurance, like, State Farm and Allstate, those are actually franchises. People buy into those, and they get all the support and expertise. Andrew: Yup. They’re not going it alone. Andrew: Awesome. So, you said it’s not always just entrepreneurs that might go into franchising, but what are some reasons someone like you said, had just retired, but isn’t ready to retire? Is that usually the be-all-end-all, or are some people really are just looking for another investment, or is this always somebody just saying, “I want my own business, but I don’t want to be my own business.” And kind of risk reductions? Chris: It runs the gamut. We have a lot of professional athletes are multi-unit franchise owners. We work a lot with military veterans coming out of the service that don’t want to go into corporate, that want to, kind of, do their own thing. But yeah, it does allow somebody to…we do have folks that just want to invest, grow something on the side, and then 7 to 10 years sell it off. There’s the retirement, or there’s just play money, whatever they want to do with it. But yeah, it is a good investment tool, it is a proven business model, it is a good place to park if you happen to be in the position to have lots of money. Chris: You’re looking for something other than Wall Street to plug it into. Andrew: Yeah. What are some of the things that people need to consider before they become a franchisee, franchise owner? Chris: That’s a different business I think all together. But before they become franchisees, one question I ask, and it’s kind of one of the key ones, is are you able to follow a process? That’s what a franchise is when you boil it down to the nuts and bolts. Basically, a franchiser, and we did this with Wolfman Pizza, is you put together a manual. It tells you how to start your day and how to end your day and everything in between. It is a proven business model, and the franchisers have already gone through the market, and they know what works, they know, you know, the best ROI and what they want you to do is follow that process. That’s why a lot of, most of the franchisers covet the military. Vets are used to A, B, C, D, E, F, here’s how you execute your day. When they get out of the military, that’s what a franchise is. A, B, C, D, here’s how you conduct this business. If you can follow a process, you are…90% of franchises are still open after 10 years. Chris: On the flip side, 90% of mom and pops are shuttered, closed by year 2. Most of them by year one. Chris: So, it’s a complete inverse, but if you can follow a process and don’t necessarily deviate from it, 90% chance of success. Andrew: That makes sense, because the process in the manual is all derived from, like you said, it’s what works, and they have a very…they’re very vested in the consistency of their product, whatever it is. So, I know we keep going back to fast food, but all Big Macs kind of look the same. That’s because there’s a manual. Andrew: Go through the process. Chris: Go through the process. Yeah. Andrew: So, and being in the same path of small businesses being closed within 2 years and franchises mostly staying open within 10, is that what you said? Andrew: That makes it sound like it’s a lot easier. So, in terms of…do you still need a business plan and all that to do a franchise, or is that really just make sure you have the available funding to implement this franchise? Chris: Actually, that is a great point, that’s the big one. You don’t need a business plan. It’s basically, they will…the franchiser will actually help you generate one, especially if you need to go to get funding. But a franchiser…for example, at The Entrepreneur’s Source, we have to vet folks; we have the vetting process and we have to make sure that they’re financially qualified. There are thresholds that a franchiser submits to the federal government, and if a potential franchisee does not meet those financial minimums, the franchiser is legally not allowed to continue conversation with you. Andrew: Because they’ve done it hundreds or thousands of times. Chris: They’ve done it, they get it, they know, and they can guide you. But they also have, you know, ramp up to your grand opening and all that stuff. So, they understand, a franchiser understands what it’s going take to get you up running, profitable, and in the black. Andrew: When you have a franchise, is the mother company, mother ship so to speak, are they essentially your boss? How much freedom do you have? Like, what’s the difference between having a franchise and being your own boss there versus having your own mom and pop shop and being literally your own boss there? Are there, you know, calls home every week? And you say, “Yes, we made money,” or, “No, we need help.”? Chris: Actually, yes, there is and that varies from franchiser to franchiser as far as what systems and processed they have in place, what support they provide you. And that’s one of the things that we do at The Entrepreneur’s Source is, you know, what’s important to you, what support and resources will you need. But a franchiser…a big misconception is you have no creativity or freedom as a franchisee. A franchiser wants you to understand your local market and to help drive business in your local market; that’s not their backyard. So, there is some leeway and some creativity and things that you can do. Essentially, though, it is your business when you…you don’t buy into a franchise, a franchise is awarded to you. That’s another misconception is that you just buy one, but when you become a franchisee, it is your business. It’s not a mom and pop and what you…it’s kind of a double-edged sword…it’s kind of nice, because as a franchisee, you don’t necessarily have to worry about a lot of things that the mom and pops…and it takes years coming from the restaurant business. It took us four years to figure out what advertising worked; if we invested in this, what’s that ROI coming out, is it worth it? The franchiser has already done that. So, you have a lot when it’s your shop, a mom and pop shop, yeah, you’ve got a lot of freedom, but you also… Yeah. You’re also going to wear every hat from the marketing to the financial to operations, everything. With a franchise, you get support in those areas that you need specific help in. Chris: Yeah, if you’re not a good marketer or you don’t understand social media, then you want to join on with the franchise business model that has a lot of that in place, they do it for you. And so, you can focus on growing your business and not necessarily working in your business. And that’s just something else that franchisers want you to do. They don’t want you to work in it; they want you to work on it. Andrew: Yeah, that makes a lot of sense. Now that you explain it anyways. Chris: Good. That’s what I’m here for. Andrew: Yeah, so, we’ll back track a little bit. 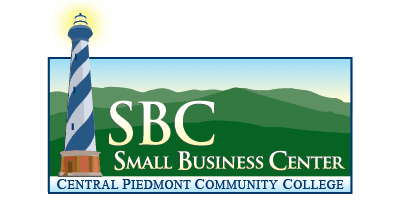 But your work at the Small Business Center at CPCC and at The Entrepreneur’s Source, are those worlds collided or do you…so when people come to you…are you like a business counselor over there? Andrew: I don’t know if there’s a C. Is there a C, or is it just A and B? Chris: I’m not sure if there’s a C. I’d be interested to know what that C might be. Andrew: We can make one up. Chris: We can make a C up. Chris: It’s at CPCC. Most folks and even though I’m talking to them, and I’m hearing them with their ideas, I’m trying to help them flush it out and understand kind of what they’re gonna be getting into, in the back of my mind I’m thinking, you know, “Franchise might be pretty good, but I don’t want to quash their dream.” So, I help them realize it, and then at some point they might realize it. Andrew: Do you see a lot of people go towards franchises or towards their own business and then switch or go back and forth or have both? Is that something that happens a lot? Chris: It’s not, no. Short answer, no. Andrew: All right. That’s out of curiosity because I know a lot of our listeners are really either already deeply invested in their own business or starting their own business. So, no looking back once you decide. Chris: Yeah. A franchise, again, is just a proven business model for those that don’t want to spend the next…and that’s when you’re 60 plus years old, you just retired from corporate, you don’t want to spend the next four years figuring out what works, what doesn’t work. You don’t have that kind of time. Andrew: Yeah, you mentioned the differences in funding. Is that when the…when you’re starting your own business you, obviously, have to go get your funding all lined up really before you get started or else you can’t get started because you don’t have money. What, I mean, what are the biggest differences? I know you said that the franchisers will kind of help you get funding or be sure that you can secure it. Chris: Some of them actually have in-house funding partners. Andrew: Like affiliates kind of thing? Chris: Affiliates that they deal with. We actually, at The Entrepreneur’s Source, have several. I use several of our resources. One of them specializes specifically in a SBA loan, Small Business Administration loans. Andrew: So, you’re getting similar…you’re getting loans from similar places? Chris: Correct. Yes, absolutely. For the mom and pop shops, a lot of those folks need to go to the SBA. I can help kind of get them geared up and understand, and kind of provide the resources that they can start asking questions, understanding what they’re going to have to bring to the table for an SBA loan. The nice thing with the franchise, again, the lenders look at it, and they’re like, “It’s a proven business model.” It’s a safer investment, a franchise is, versus just a mom and pop. A lot of folks want to do, “Oh, I wanna own a restaurant.” And not a lot of banks look favorably upon restaurants. They’re just like, you know. Andrew: People gotta eat, man. Andrew: People in Charlotte didn’t like pizza. Andrew: Pepperoni and sausage and pepperoni, more pepperoni. Why am I still saying pepperoni? God. I had a really good question. Okay. Andrew: Yes. Well, not financing, the other end. You mentioned franchising is the safer financial option. Is that true? Andrew: Is it as lucrative on the other end as a small business could be or, you know, a startup entrepreneur, your own business kind of thing? Chris: With an entrepreneur that is taking their own idea and is growing it, maybe the ROI is a lot greater, but I think the horizon of you realizing that is much further down the road. It’s gonna be 10, 12 years unless you just have you know, hit a gold mine, like at Shark Tank maybe we’ll see. As CPCC hosts Shark Tank, we will be able to see some great ideas coming through. But the average threshold for a franchisee is 7 to 10 years. They’ll own a franchise, and the nice thing is when you own your own business, you’re building wealth and equity. So, you’re building the business up, and then they will sell it in 7 to 10 years. That’s the average sell time of a franchise, and at that point they’re recouping, not only the money they’ve invested. Andrew: Almost 10 times return. Andrew: So, it is as lucrative? Chris: It can be, absolutely. Chris: It can be. The interesting thing is Subways, you know, you can build up the equity there, but Subway owners only make like, $50,000, $60,000. That’s why most of them own three or four of them. But those are not as lucrative. When you turn around to sell them, I’m not quite sure. Chris: Absolutely. The reality is most of the businesses that you see that business brokers have listed are mom and pops, not a whole lot of franchises on the market. Most of them are mom and pop stuff. Andrew: Awesome. Chris, we’re nearing the end of our podcast. Andrew: Yes, sadly. I feel like most of our listeners are feeling ready to start franchise after learning so much, so thank you. And is there anything you’d like to add before you go? How about a one word or one sentence nugget of great advice? Chris: Being an entrepreneur…once you’re an entrepreneur, and you get a taste of it, it’s tough to go back to corporate. That’s what a lot of folks have told me. And whether you have your own idea or if you want to explore franchising, I highly suggest it. The returns are fantastic. I could go into. If you make 100,000 corporate, you’re gonna bring home 65k. If you make a hundred in your own business, you’re going bring home 80k. So, the money is there. Chris: Tax benefits are fantastic, write-offs are fantastic. I’m trying to think of one sentence. Andrew: That’s okay. So, from a hierarchy of corporate, franchising, and government, where is the government? Chris: Entrepreneurship and small businesses are the backbone of our economy. To be able to get out there and do it, I salute and applaud anybody who steps up to the play and takes a swing. Chris: And I’d be more than happy to help out. If they would like to visit Charlotte Business Resources or CPCC Small Business Center, there are an amazing amount of resources at both places for entrepreneurs, potential entrepreneurs, and folks that just kind of want to dip their toe in the water and see what’s out there. Andrew: That’s great. Well, thank you very much. You answered my next question which is where can we send our listeners to contact you for more information. So, it sounds like CPCC Small Business Center, the Entrepreneur’s Source, or Google Chris Metzler. We’ll find you somewhere, hopefully no mug shots. Andrew: All right, everybody. Well, this is Andrew Bowen and this has been another episode of CBR’s B2U Podcast, bringing business resources directly to you. Follow us @CBRbiz, and until next time we mean business. Thank you, Chris.